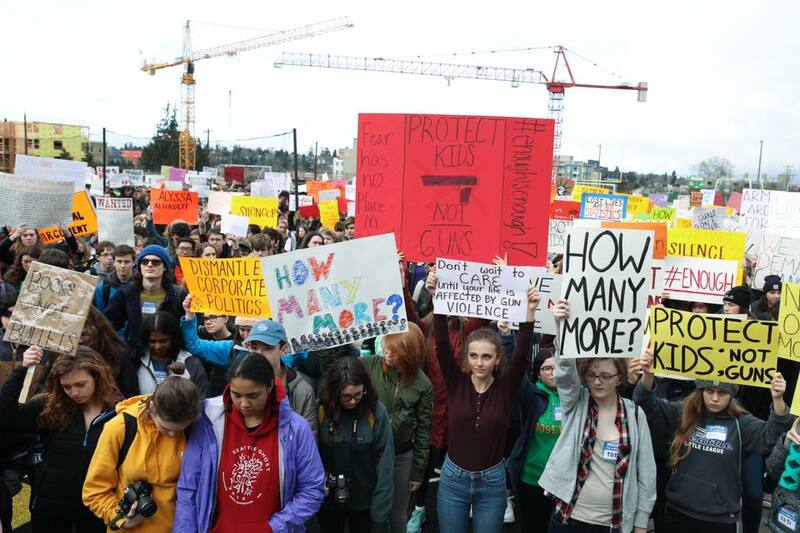 The walk-outs and demonstrations by hundreds of thousands of high-school students across the country yesterday captured the essence of The Desire for Mutual Recognition: Social Movements and the Dissolution of the False Self: young people suddenly becoming fully present to and for each other, recognizing each other as emergent powerful beings, “finding their voices” together in the name of love and authentic humanity against the violence of gun culture; and in so doing, dissolving (at least temporarily) the compliant, deferential student-selves that they had likely been enveloped by before Parkland, just a month ago. Like the civil rights movement, and the women’s, LGBTQ, labor, and anti-war movements, what was “moving” yesterday was Being itself as it surpassed its conditioned passivity-in-separation and rose up to shape its own destiny. As Parkland student Matthew Post said in front of the Capitol in Washington DC, “the adults have failed us; now it’s up to us.” And us!